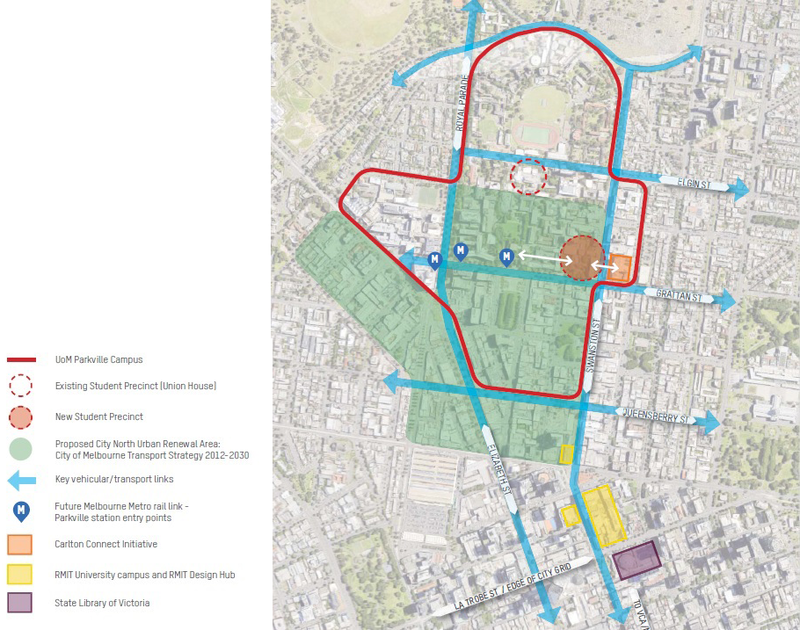 The Precinct will be located on the corner of Grattan and Swanston Street, and is defined by Monash Road to the north and the Melbourne School of Engineering Precinct to the west. The site is at the centre of the University's traditional and new student accommodation hubs, making it an ideal location for our 60,000 students to connect. It will also neighbour the University's innovation precinct, Melbourne Connect, and is conveniently located close to public transport links, including the new Melbourne Metro Rail station on Grattan Street. 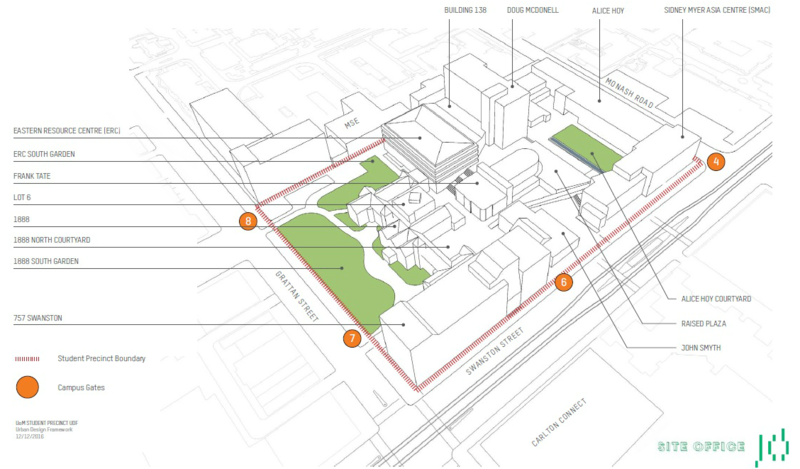 The Precinct incorporates nine University buildings, many of which will undergo adaptive reuse, including extensive refurbishments and facade treatments, while respecting the history and heritage of the site.